You can also perform a more selective search for churches in the Cold Hanworth area or see them printed on a map. The church was built in 1861-62 by Commodore Peter CRACROFT. It replaced an older structure on the site. The church could seat 84. The church was declared redundant by the Diocese of Lincoln in October, 1973. The building was sold for use as a studio in October, 1976. 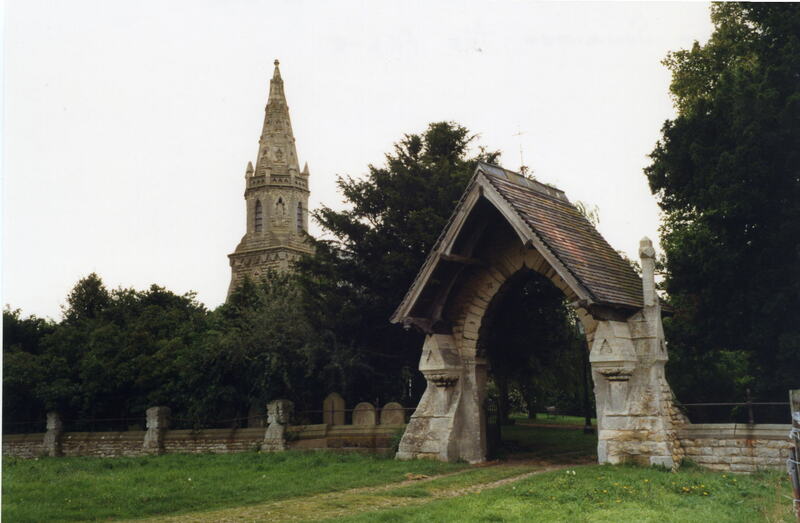 Ian PATERSON has a photograph of the old Lych gate on Geo-graph, taken in October, 2007. The Anglican parish register dates from 1725. The Lincolnshire FHS has a Loan Library service which has the parish registers on microfiche for Baptisms from 1725 to 1812 and Marriages from 1726 to 1809. Kelly's 1900 Directory of Lincolnshire reports that the parish is in the rural deanery of Aslackhoe. Cold Hanworth is both a village and a parish north of the city of Lincoln. Welton parish lies to the south and Spridlington parish to the northwest. The parish covers only about 817 acres. Take the A15 north out of Lincoln. The turnoff for Cold Hanworth will be about six miles outside of Lincoln, just behind Hackthorn village. Ask for a calculation of the distance from Cold Hanworth to another place. You can see the administrative areas in which Cold Hanworth has been placed at times in the past. Select one to see a link to a map of that particular area. The parish was in the eastern division of the ancient Aslacoe Wapentake in the West Lindsey district in the parts of Lindsey. The children of this parish attended school in Hackthorn.